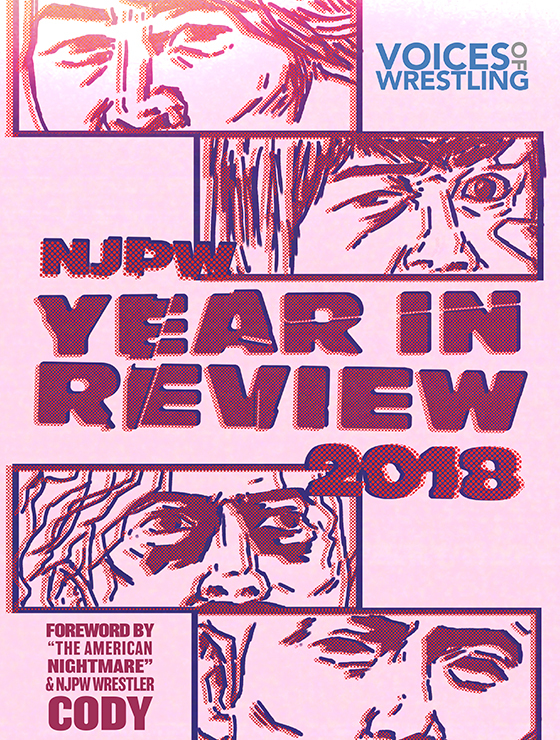 As a quick reminder before we get into things, this column is strictly non-New Japan and non-Dragon Gate-based as Voices of Wrestling already has tremendous coverage of all notable New Japan and all notable Dragon Gate throughout the site. The Dragon Gate matches listed at the bottom are matches that happened on smaller, non-Korakuen Hall shows that aren’t reviewed on the site. If you’re looking for recommendations from said Korakuen Hall shows and the bigger iPPV events such as Final Gate, Case Lowe does a tremendous job with the reviews, so be sure to check those out. Let’s start right at the top, shall we? December 2 & 3 were big days for Pro Wrestling NOAH as Minoru Suzuki lost two very big, very heated, very emotional matches to Katsuhiko Nakajima on the 2nd and Takashi Sugiura, the man who turned on him after the Nakajima match, on the 3rd and was thus banished from the company along with the rest of Suzuki-gun. NOAH, as a direct response to their departure, has begun bringing in a number of outsiders such as Hi69, HAYATA, Rionne Fujiwara, Ricky Fuji and other low-level indie names, not exactly super-workers but workers nonetheless. They need depth, and those guys are depth. They take up space. That’s what matters, because their core roster is very, very slim at the moment, especially on the junior side now that Kenoh and Atsushi Kotoge are becoming heavyweights. Where Suzuki-gun shows up now, I’m not sure. They could show up in New Japan, they could show up in some other indie promotions, they could show up anywhere, really. Personally, if I were to bring Suzuki back to New Japan, I wouldn’t bring him back full-time and would only have him work the bigger shows, maybe two or three programs a year at most, and that’s pushing it. He doesn’t need to return full-time. Will he? Again, I don’t know, that’s just how I feel about it. 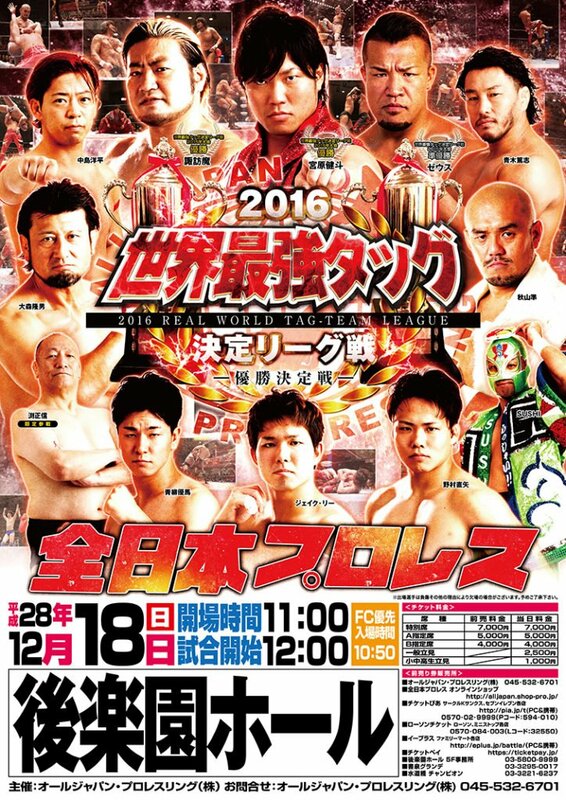 NOAH has a big show coming up on January 7 with Katsuhiko Nakajima defending the GHC title against Takashi Sugiura in the main event, Go Shiozaki and Maybach Taniguchi defending the tag titles against Naomichi Marufuji and Atsushi Kotoge, and a new junior champion (which Kotoge obviously had to vacate) being crowned as Hajime Ohara and Taiji Ishimori go to battle. Let’s hope NOAH can keep the ball rolling after the great Christmas Eve Korakuen show. I’m pulling for them. In some smaller pieces of news, it was announced that Differ Ariake, NOAH’s homebase for several years, would closing up shop in June of 2018. Sadly, it was also announced that one of the promotion’s rookies Shiro Tomoyose has been forced to retire due to ongoing shoulder issues. I personally was a big fan of Tomoyose’s, probably his biggest fan, so while this news did not sit well with me, health always comes first and I do hope him the best. WRESTLE-1, as a touched on in last month’s piece, has been going through a weird transitional period as of late and as a result their booking has been a bit confusing. Most of the roster is split into two halves, with the younger guys on one side and the veterans on the other, the younger side promptly being called the “NEWERA.” This, however, does not mean that the veterans don’t sometimes go against one another. See what I mean when I say it’s been a bit confusing? They’re playing around with the booking, and I don’t necessarily think they’re doing something wrong, you need to play around with the booking to get it right, so that’s what they’re doing. They held a show on December 9 where they stuck the vets against the “NEWERA” guys and had the vets come out on top in every match. MAZADA defeated Yusuke Kodama for the cruiserweight title, Masayuki Kono defeated Jiro Kuroshio to retain his heavyweight title, Kazy Hayashi and Kotaro Suzuki defeated Koji Doi and Kumagoro to retain their tag titles, and the trio of Jun Kasai, Shuji Kondo and NOSAWA Rongai defeated the NEWERA trio of Andy Wu, Daiki Inaba and Seiki Yoshioka for the UWA titles. I like Masayuki Kono just fine, but I don’t think he should be the one on top of this whole storyline. It’s a role better suited for someone like Yuji Hino or Shuji Kondo or Manabu Soya, who’s challenging for the title on January 8. MAZADA also defends against Andy Wu on that January 8th show, while Kaz Hayashi and Kotaro Suzuki defend against Daiki Inaba and Yusuke Kodama. It was also announced that KAI, one of WRESTLE-1’s key players, will no longer be competing for the promotion under contract. Take that for what you will. Following the events of the All Japan Sumo Hall show, the annual Real World Tag League kicked off on December 3rd and wrapped up on December 18th in Korakuen Hall, with Takao Omori and Manabu Soya defeating Kento Miyahara and Jake Lee in the finals. This of course set up Takao Omori’s second title shot against Miyahara on January 15th, nearly a year after their first match together. While I could see why this would confuse people, I personally don’t mind seeing a guy get more than one shot over the course of a long title reign. It’s par for the course when you’re champion for as long as Miyahara’s been champion. Omori’s a good, credible challenger, and a good win for Miyahara as he looks to have yet another succesful year on top. 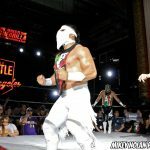 Similar to NOAH this month, the 2nd and the 3rd will be big days for All Japan in January as they run back-to-back Korakuen Hall shows, with Atsushi Onita and Masanobu Fuchi defending the All Asia tag titles against Jun Akiyama and Masao Inoue in the main event of the first show, and Zeus and The Bodyguard defending their titles against Real World Tag League winners Takao Omori and Manabu Soya in the main event of the second show. 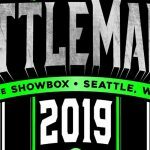 Unlike the two shows they ran in January of this year, the second show looks to be much, much stronger than the first show. In fact, there’s nothing I’m genuinely looking forward to on the first show aside from the opener with Atsushi Aoki and newly signed up-and-comer Koji Iwamoto, who had a tremendous match with Miyahara on December 11th and could have yet another one there. The second show sees a rematch between Naoya Nomura and Takuya Nomura, a very promising six-man between the trio of Atsushi Aoki, Hikaru Sato and Super Tiger and the trio of Shuji Ishikawa, Ryouji Sai and Minoru Tanaka, the return of Joe Doering as he and Suwama take on Kento Miyahara and Jake Lee, a junior title match between Keisuke Ishii and Yuma Aoyagi, and of course, the aforementioned main event. There’s a bit of a question mark surrounding the All Asia tag match on the 2nd as Atsushi Onita suffered a rather gruesome leg injury towards the end of the month and though he’s promised to work through it, it’s not looking too good for him, so we’ll have to see what happens there. The second half of the year has been a bit of a disappointment for major champions in professional wrestling, and Hideyoshi Kamitani was at the top of the list when it came to poor title runs. His win over Yuji Okabayashi in July was one of the greatest moments of 2016. He had such big things lined up for him and he failed to deliver every time out. He thankfully lost the title to Daisuke Sekimoto at Big Japan’s Death Vegas event on December 18th in a match that, like Kamitani over the past several months, wasn’t so good. I questioned the result at first, as did many I would assume, but after thinking about it and after looking at Kamitani’s run in hindsight, not only did the result make sense, it’s better for Kamitani’s career. This run hurt him more than it helped him. He’ll get another chance, and hopefully he’ll deliver when he gets that chance, because he didn’t deliver this time. 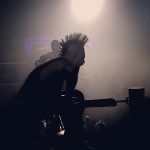 Death Vegas also saw Abdullah Kobayashi defeat Kankuro Hoshino for the Deathmatch title in the main event and a fantastic tag match between Kohei Sato and Shuji Ishikawa and the team of Hideki Suzuki and Takuya Nomura. Kohei Sato and Shuji Ishikawa then went on to defeat Takayuki Ueki and Masaya Takashi on December 30th in Korakuen Hall and as a result will defend their titles against Sekimoto and Okabayashi in the same building on January 2nd, in what’s sure to be another fantastic outing. 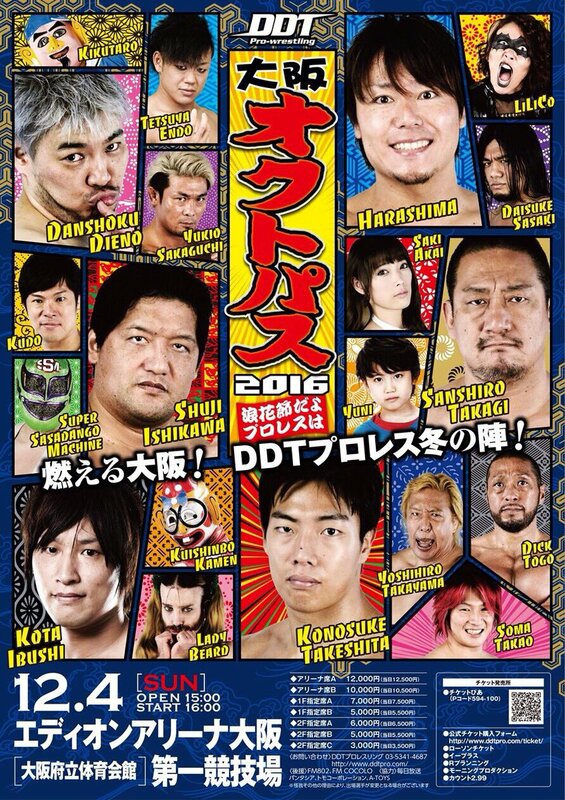 DDT held their big Osaka show on December 4th, a show I reviewed in full on the website so won’t get into in great depth. What I will say about it is that I saw Shuji Ishikawa losing his title to HARASHIMA in the main event as a bit of a transition for Shigehiro Irie to win the title from HARASHIMA, which did not end up happening as HARASHIMA defeated him once again on DDT’s Christmas show. Not the result I would have gone with, I think it’s about time Irie needs to get his win over HARASHIMA, but with that said, there’s a huge Saitama Super Arena show coming up in March, so it’s safe to assume the only reason HARASHIMA beat Ishikawa in the first place was to headline that show. Who he defends against, I have no idea. In the meantime, Mike Bailey gets a shot at the January 3rd Korakuen. Mike Bailey then goes on to defend the tag titles with Konosuke Takeshita against Masakatsu Funaki and Yukio Sakaguchi on January 9th. Two big spots for ol’ Speedball, who’s pretty clearly DDT’s next top gaijin star. 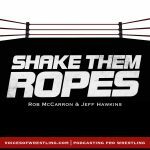 DDT’s streaming service, promptly named “DDT Universe,” launches on January 23rd. All Korakuen Hall and all major shows will be streamed live on said service, all BASARA, DNA, etc. will be made available, and much more for 900 yen a month, which comes out to around eight American dollars. 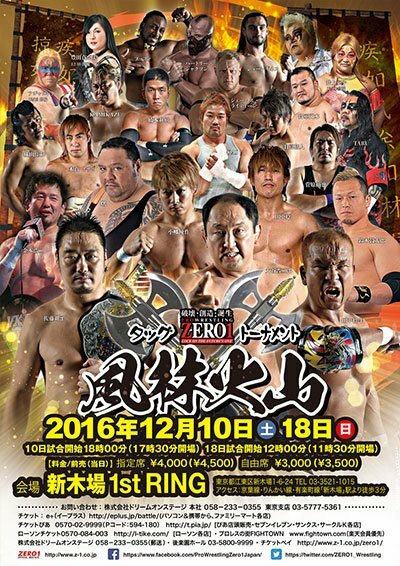 KAI and Yusaku Obata won ZERO1’s Furinkazan tag tournament on December 18th, defeating Akebono and Shogun Okamoto in the finals. Akebono and Shogun Okamoto, however, are getting a shot at the tag titles on January 1st, for whatever reason. Yusaku Obata challenges Kohei Sato in the main event of that show, while Shinjiro Otani also defends his junior title against Takuya Sugawara and the veteran team of Koji Kanemoto and Minoru Tanaka challenge Isami Kodaka and Takumi Tsukamoto for the junior tag titles. Dynamite Kansai, one of the all-time joshi greats, wrestled her final match on the December 11th OZ Academy show in front of a staggering 2,100 fans in Korakuen Hall. A very emotional scene, as one would imagine. And speaking of final matches, Arisa Nakajima wrestled her final match for JWP on December 28th as she lost her title to Hanako Nakamori and looks to broaden her horizons in the new year, while Rabbit Miyu also wrestled her final match in general on that show. Io Shirai retained her World of Stardom title over Mayu Iwatani on December 22nd as she enters 2017 with a full year as champion under he belt. Like I mentioned last month, I don’t see anyone but Kairi Hojo taking the title from her, so even though Iwatani would have made sense given the current storyline, Hojo is who she needs to lose to on her way out of the territory. Hojo and Yoko Bito got a taste of gold on this show themselves as they defeated Kagetsu and Kyoko Kimura for the Goddesses of Stardom tag titles in the semi-main event. In the last joshi event of 2016, Risa Sera defeated Tsukasa Fujimoto in the main event of the December 31st Ice Ribbon show. 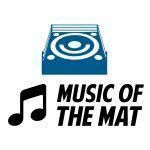 We’re hitting the closing stretch here, so let’s go over some of the more scattered, miscellaneous news from the month. Daisuke Sekimoto will be working the January 29th HEAT-UP show as he teams with fellow Big Japan guy Takayuki Ueki to take on Daisuke Kanehira and Hiroshi Watanabe. In the main event of that show, Kazuhiro Tamura defends his HEAT-UP Universal title against Rocky Kawamura. 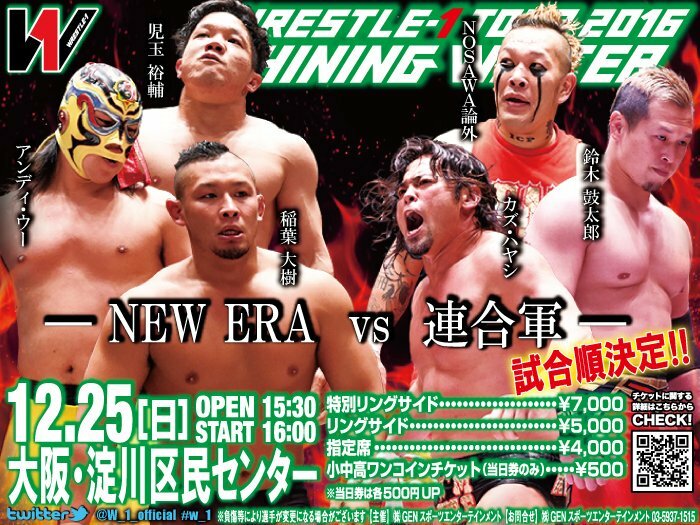 Daisuke Sekimoto also worked the main event of W*ING Kanemura’s retirement show on December 27th, teaming with Kohei Sato and Yuji Hino against the man himself W*ING Kanemura, Masato Tanaka and Tetsuhiro Kuroda. K-DOJO held two shows on December 25th, with Go Shiozaki vs. Taishi Takizawa headlining the first one, and Kengo Mashimo vs. Kaji Tomato for Mashimo’s title headlining the second. BASARA, on the same day, ran their first Korakuen Hall show and drew around 800 fans for Isami Kodaka vs. Trans Am Hiroshi for the vacant Union MAX title, a match Kodaka won as he leads his promotion into the new year. They return to Korakuen on April 29th and then again on October 1st. Koji Doi and Kumagoro, two of WRESTLE-1’s up-and-comers, are holding a produce show on January 25th, where they’ll wrestle the man of the hour Daisuke Sekimoto and Yuji Okabayashi in the main event. Also holding a produce show around that time is Keiji Mutoh on February 8th as he teams with Riki Chosu, Tatsumi Fujinami and Jushin Liger to go head up with the less star-studded team of Great Kabuki, Akira Nogami, Shiro Koshinaka and Akitoshi Saito. Three guesses as to who’s winning that one. 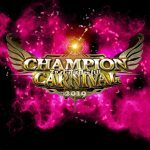 Michinoku Pro drew over 1,800 fans to Korakuen for their annual Great Space War ten-man main event with this year’s theme being the Suicide Squad. One could only imagine how wacky and zany such a match might have been. 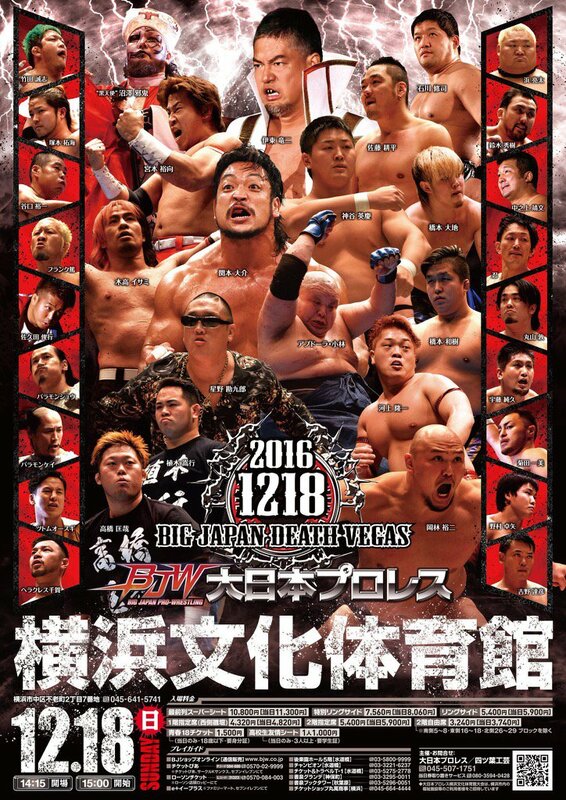 Lastly, Kazusada Higuchi and Yoshihisa Uto defeated Hideyoshi Kamitani and Konosuke Takeshita in the finals of the DDT/BJW/AJPW/WRESTLE-1/K-DOJO New Year’s Eve tournament. A shocking turn of events, to say the least.